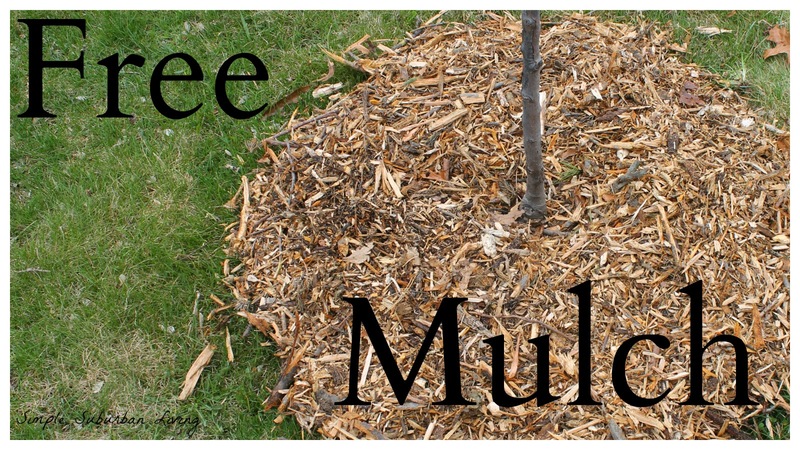 What is the lowest price you can get on landscaping mulch? Free! 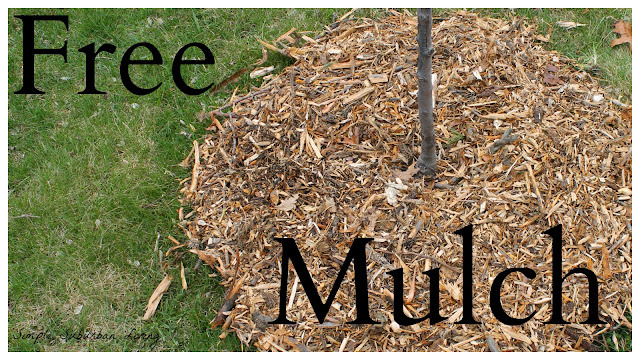 We have been sourcing free mulch for our garden beds, landscaping, and trees for a few years now and will never go back to bagged big box mulch! Although they do have some pretty colored wood chips in a bag (what are they using to dye that stuff anyway?) we have found the ultimate place to get the same product for free. Last year I did a post on dressing up our trees and preparing them for winter and I also did a post on planting our fruit bushes and vines. In both occasions I used this same supply of mulch but thought I would go into more detail on where we are getting it from. We have spent many years buying bags of mulch from the big box stores spending up to $100 per year to dress up our flower beds and around some of our trees. One day while at our local rustic city park we noticed the big pile of wood chips off to the side. I couldn't believe that they would just pile all that there for anyone to take. I called the city to be sure it was ok to load up my truck and have since made many trips to this park to get my annual fix of mulch. Different times of year yield different grades of mulch so you have a choice of what you want based on your use. I have noticed that if you go first thing in the spring you have your choice of last years wood pile which has been semi broken down and would be great to sift through to amend garden beds. You also have the years first trimming which is usually shredded pine branches and needles from cleanup around the city and the recent Christmas season (city pickups up Christmas trees I believe). Later during the summer you have fresh mulch coming I each month with varying colors and shades that is perfect for landscaping. Many people are trying things like the back to Eden gardening method or deep mulch gardening. There is no need to pay for truck loads of wood chips and mulch when you have access to free resources like this. Some cities may even offer deliver for you for a small fee or even free depending on where you live. This is just another great free resources for starting gardens landscaping with sustainable materials, or just adding to your orchards. Give your local city hall or township offices a call to see where they put all of there tree trimmers for the year. I'll bet you'll be surprised at how eager they are to get rid of them!